Uncommon Sense - truth less ordinary: Swarovski or toilet paper? All that glitters is a Swarovski! Life presents us with a plethora of tough decision making….from the kind of bread we eat, the deodorant we wear, the people we hang out with or the careers we choose. Decisions are never easy. Most decisions are ones that have been made for us by people we deem to have power over us: our parents, teachers, bosses. These are the authority figures in our lives. The reason behind this power play is that we’re indecisive - we don’t trust ourselves and often we pretend we don't know what we want. That's a big fat lie - we know we want it but the bank manager says we can't! Listening to the voice inside is a constant and yet we still don’t pay attention. “Attention must be paid” and I hope the title of this post really made you sit up and take notice! Here’s your starter question: What would you choose - Swarovski or toilet paper? These two are world’s apart but there’s a spontaneous response from your gut. I felt it and so did you. 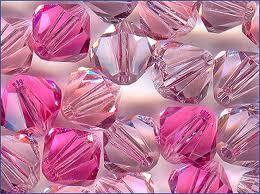 People who act on their instincts (not bank balance) are dripping in Swarovski's and more than just a little debt!! 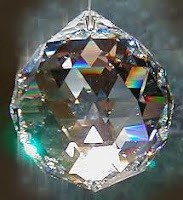 Swarovski is a world-renowned brand. It conjures up a million, dewy images of romance. It’s your birthday and he’s bought you Swarovski – divine! This business manufactures exquisite crystalesque pieces to grace your neck, wrist and fingers. They’re soft trinkets that will add that “je ne sais quoi” allure and a certain something to your charisma. Toilet paper, on the other hand, is not an exclusive brand and it’s no luxury by any means (though Andrex might disagree!) Naturally it depends on your need and your location. I know many a banged up inmate who would kill for a piece of the soft roll that reminds them of home. Toilet paper is something ordinary; commonplace – sitting on its holder in all innocence. We don’t value it until it isn’t there. Who has not used a public toilet only to find that there’s nothing to wipe with – ugh?!! 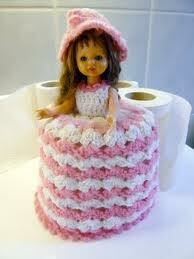 The Swarovski / toilet paper conundrum is a representation of the daily dilemmas we face. Luxury necessity or necessary luxury….aah….if only there was a simple answer. If we just focused on the bare necessities, life would not be so rich. We work hard so surely we can afford to spoil ourselves a little? Is it wrong to add a little glamour to the dreary days? All the frugalities out there will be aghast at the thought of Swarovski being included in their household expenditure. At Swarovski's expense, you could end up as a bejewelled bag lady and, at best, you could be considered trading up….becoming socially mobile…..and a few rolls of toilet paper would never do that for you. Swarovskis may break the budget but it beats wearing toilet paper any day!